"Captain America needs my help." Seriously, who doesn't want to be able to say that? Spoilers ahead for CA: TWS. 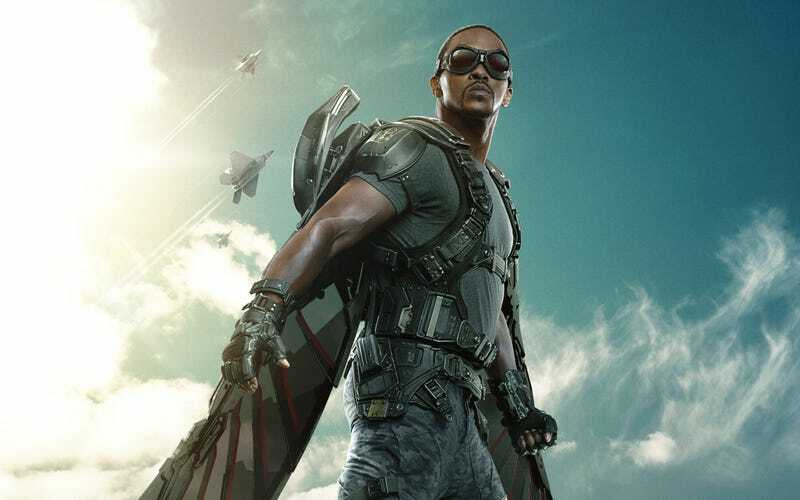 As a black man and a veteran, I was quite pleased with the MCU version of Falcon. It makes perfect sense that Steve Rogers would befriend a fellow veteran. Of course since this is the Marvel Universe that friend turns out to be someone with a special skill set. I'm sure there will be the argument that Sam Wilson, like James Rhodes, is just the black sidekick to the white hero. But I'm still looking forward to seeing him in Captain America 3. On a side note - if they were going with a spoilery title* like The Winter Soldier anyway, why not call the movie Captain America: The Fall of SHIELD? *EDIT: Let me clarify. The title is spoilery in the sense that TWS is masked for most of the movie and his identity is apparently supposed to be a surprise, though anyone familiar with Cap's history in the comics already knows who the Winter Soldier is. But my main issue with the title is that the Winter Soldier isn't a major part of the story.